Box Tops for Education is a national school earnings program that has been around for over 40 years! Clipping Box Tops is an easy way to benefit your kids and to help earn extra money for Taylor Elementary! As a school we earn .10 for each box top submitted. That adds up!! You can find box tops on many consumer products. 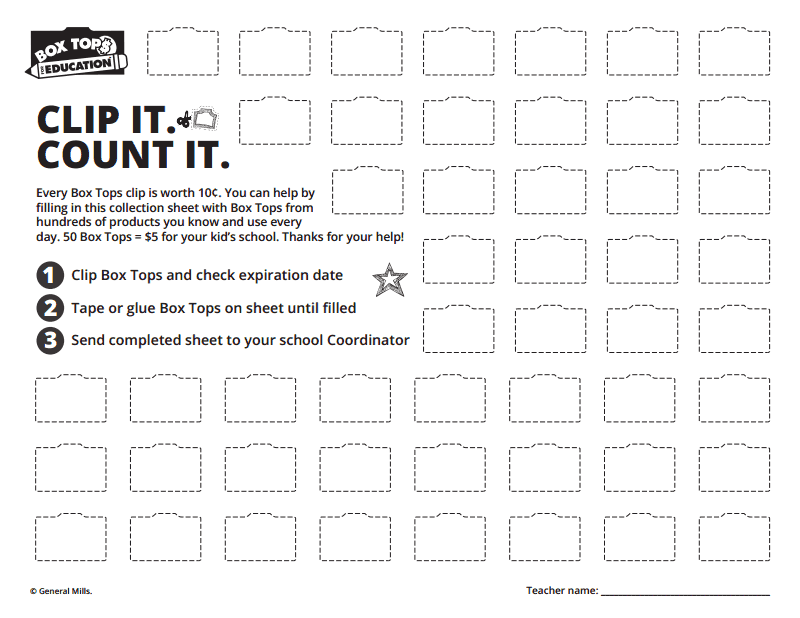 Help us reach our yearly Box Top goal by clipping box tops and sending them in to your child's classroom today! Click on the Box Top picture above to print extra collection forms. Amazon Smile is a nonprofit program that donates 0.5% of your amazon purchase back to our school! At Amazon Smile, you shop on Amazon like you normally do. Its that easy! We then use that money to supply much neeced items for the students and staff at Taylor Elementary school. Go to smile.amazon.com, and sign in with your Amazon.com account. When you log in, Amazon will prompt you to select a charity to support. Make sure to shop from smile.amazon.com to continue to support our school! Savemart Shares is a charitable-giving program in which The Save Mart Companies donates up to 3% of enrolled shopper purchases to local schools and organizations. The Company is committed to giving $4.5 million annually. All shoppers have to do is sign up at www.escrip.com/shares and designate Alyce Taylor and our school will receive up to 3% of your purchases at Save Mart, Lucky, FoodMaxx, S-Mart and Maxx Value stores.This is a great way for Taylor Elementary to raise money for our school! Once signed-up, they can encourage supporters to also enroll in the program as well. We proudly support the communities our stores serve. Click here to sign up for Shares powered by eScrip now. iGive.com is the first online shopping mall where a portion of each purchase is donated to your favorite cause. Established in 1997 for one purpose: to turn everyday online shopping into donations for worthy causes, at no cost to shoppers or the causes they support. iGive members generate donations by shopping online at any of our 1,700+ Stores. There are no added costs, obligations, nor any hidden fees. You don't need to enter any codes, notify the store, or iGive. It's all automatic! To get started and to start earning money for Taylor Elementary School you simply go to igive.com - Sign up - then find Alyce Taylor PTO under Nevada and Education k-12 Organizations. You then are ready to shop and are ready to earn extra money for your kids school!